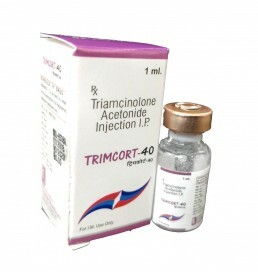 Trumac Healthcare is one of the leading Triamcinolone Acetonide Injections Manufacturers Suppliers all over India. WHO:GMP Certified Third Party Contract Manufacturing also available. Triamcinolone Acetonide is used in the treatment of Allergic disorders, severe allergic reactions and rheumatic disorder. Triamcinolone Acetonide is a steroid which works by blocking the production of certain chemical messengers in the body that cause inflammation (redness and swelling) and allergies.